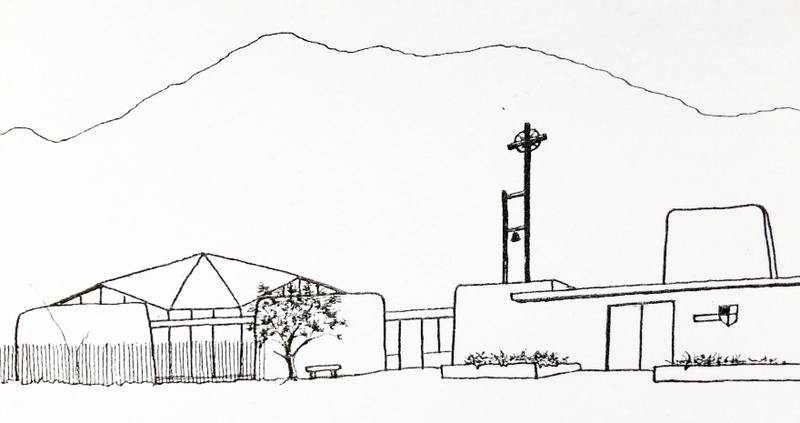 The design of St. Bede’s was significantly influenced by Native American drafting students who collaborated with Kip Merker, the young architect and designer of St. Bede’s. The Native American students met with the Reverend William Crews, first Vicar of St. Bede’s, at the construction site during the design phase of the project. Students then created a small model of the new church, since lost. In 2017, an extensive renovation and expansion of the original 1960s building was begun. It was completed in the fall of 2018.